When it comes to online marketing, there are many strategies you may use to increase your online presence. Depending on the type of business or service you run, it is essential to choose the right mixture of tools to ensure success. Here are 4 different tactics Z Global has put together that have proven to be the most effective time and time again. The objective for businesses is to rank higher in Google searches. Naturally, your website is more likely to be clicked on the higher it ranks. There are various ways to achieve this. For every business, there is always an updated list of words that are most likely to be searched. One of the most common ways is for an SEO specialist to use well-researched keywords to include in the content of your website. According to Payscale.com, the median salary for an SEO specialist is around $43,461. There are other ways to increase your ranking as well. This may include the number of external websites that link to your page, the coding infrastructure of the website, optimized meta tags, relevant content, and working hyperlinks. These factors become indicators of how popular, relevant and searchable your website is. Another way is how easy it is to read the content on your website. Google uses a crawler to measure the sentence structure, alt texts for images, and text to accompany video content. 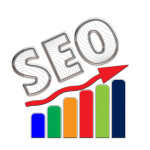 The reason why it becomes complicated is that many of the rules that govern search ranking depend entirely on the search engine itself. Are you interested in improving your search engine presence? Contact Z Global’s SEO Specialists as these rules are constantly shifting, and our team stays privy to these changes. This strategy has become more important in recent history as more consumers wish to engage with businesses and services online. Using different platforms allows your business to create cohesive branding, a positive image, and an opportunity to set your business apart from others. It is highly valuable, and for this reason, it is important to approach it very methodically. YouTube: This is good for long-form marketing. Any content that is more than 5 minutes is recommended to be put on this platform, with links to your website. Testimonials and an overview of your provided service are appropriate to post here. Instagram: This platform is meant to be a showcase for your business. The look, feel, and examples of your services are appropriate to post here. No more than one post a week is recommended. Twitter: Good for short-form content and high volume marketing. Twitter is a platform whereas many posts can be made without being inappropriate. This has allowed for many marketers to test different posts and their engagement reaction to later use for Facebook and other channels. Facebook Fan Page: The most widely used platform as well as the most diverse types of news content shared. It is considered to be the hybrid platform, combining elements from all the other marketing channels. No more than 1 post a day is recommended and each post should share a piece of the business that is important. Facebook’s new service of Lead Ads has made it even easier to drive users to action without being led to an external page to enter their information. LinkedIn: This platform has become a vital asset for businesses who wish to engage with potential customers and business partners. With LinkedIn’s advanced search features, various premium products, and global groups, we recommend businesses to increase their presence on this platform to market their products and services to an audience of business professionals. Usually, businesses will use social media to simply make posts to look relevant. However, this is not enough as users can often feel whether there is authenticity behind posts or not. Posts should be engaging and truly share what your business offers to the community. Social media is also crucial to accruing positive reviews that can help drive your business. According to Forbes, 90% of users read online reviews before visiting a business. If you are considering making your social media management easier, Z Global provides professional services that allow you to use your time to focus on your actual business. This goes hand in hand with social media marketing. What makes it different is that it focuses on the actual substance that is being shared rather than the platform itself. The content on all the marketing channels should convey a message that relates to a single brand narrative. This includes different types of information about your business that will drive users to take some form of action. Whether that be downloading your company’s e-book, signing up for an email list, or buying certain products, content marketing is designed for this purpose. The important part of content marketing is that it has the capacity to continue driving traffic. For instance, once your copy is compiled, it can be leveraged on other channels as well. Relevant and engaging content can work to increase your website’s ranking for keywords that will drive qualified traffic to the website. Z Global’s content marketing specialists are experts in knowing how to write content that will drive traffic to your website. This includes keyword research, clear language, and specific call-to-action buttons. Despite some believing that email is outdated compared to social media channels, it is still the foremost way of communication between online users. Professionals that create email campaigns have knowledge about what exactly will make the reader open and read through the content. Emails provide value to existing and potential customers and remind them of your business. The importance of relevancy is clear when it comes to emails. Why do you think so many companies rely on email marketing to inform their audience of company news, interesting articles, urgent sales, and more? There are different analytical tools with each email platform, but a few crucial key performance indicators are the rate of opened emails and the click-through rates. Many platforms also offer the ability to see where each user clicked on the email and which links were opened. It is most important to stay ahead of the curve and to utilize any new trend that will give you an edge over competitors. Creating automated workflows to trigger when a new subscriber is added or when a e-mail is clicked on works to save time and increase likelihood of conversions. Technology and analytical tools are always being created, so it is best to adapt to what the market is offering. To do this well means to look into what each service offers. Your business will not require every tool out there. All in all, the traditional rules of marketing still apply: one should have good communication skills, good business acumen, and a feel for audience interest. Z Global offers public and bespoke training solutions in advanced topics like Email Marketing, Conversion Tactics, and More. Visit us below. Z Global offers the industry’s leading services in digital marketing. Each strategy is tailored to your specific needs and requirements. Feel free to contact us for more information. Perfectly written. Very useful information. Keep it up. Very informative, I must say!